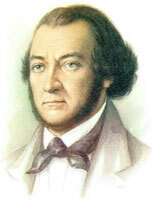 Alexander Alyabyev (4 August 1787, Tobolsk – 22 February 1851, Moscow) was a Russian composer, pianist, conductor. This entry was posted in Alyabyev, Alexander, Piano and tagged Alexander Alyabyev, for middle and high voices, Music score, Piano, Sheet music on 07.01.2018 by admin. This entry was posted in Alyabyev, Alexander, Piano and tagged Alexander Alyabyev, for middle and high voices, Music score, Piano, Sheet music on 06.01.2018 by admin. This entry was posted in Alyabyev, Alexander, Piano and tagged Alexander Alyabyev, for middle and high voices, Music score, Piano, Sheet music, The Prisoner of the Caucasus, Zavadsky on 06.01.2018 by admin. This entry was posted in Alyabyev, Alexander, Piano and tagged Alexander Alyabyev, for middle and high voices, Music score, Piano, Sheet music on 05.01.2018 by admin. This entry was posted in Alyabyev, Alexander, Piano, Romance and tagged Alexander Alyabyev, for middle and high voices, Music score, Piano, romance, Sheet music on 05.01.2018 by admin.